When it comes to chocolate chip cookies everyone has their favorite, the one you buy in the mall or perhaps your grandmother’s recipe? This classic American cookie is a treat no matter what the age or occasion. How could we go without those delicious chocolate chip cookies with crispy edges, a chewy and squidgy interior, and the irresistible toffee flavor? Well, good news is that we don’t have to! There are plenty of recipes out there and we have selected the ten best chocolate chip cookie recipes for you. This recipe has a little spin on the classic chocolate chip cookie recipe. They are packed with chocolate chips and salty pretzels and of course with peanut butter. They’re light and chewy and they are the best peanut butter chocolate chip cookies you will ever try. 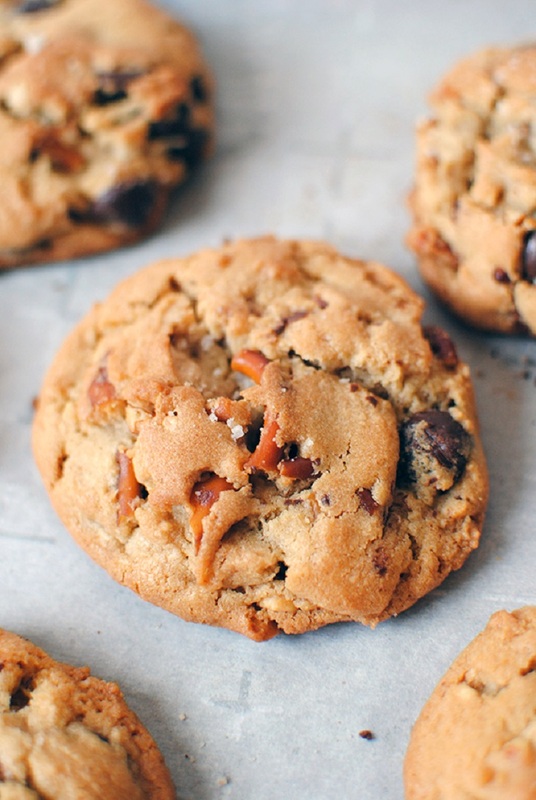 If you love the combo of sweet and salty, these cookies are for you! 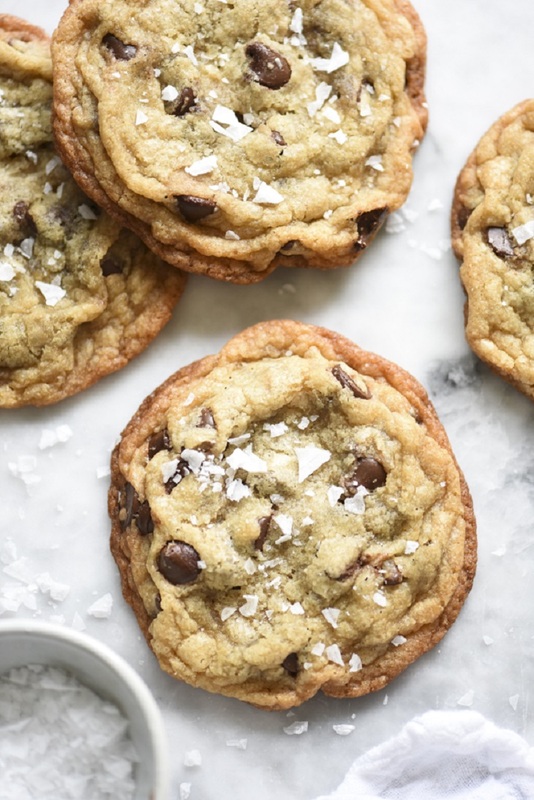 This salted chocolate chips cookie is packed with chocolate chips, making for a soft, chewy extra rich cookie with crispy edges. 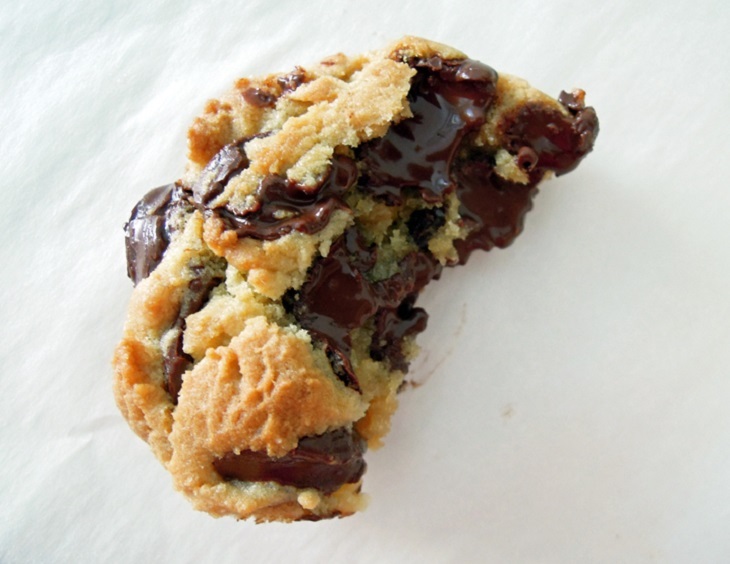 It is gooey but also crunchy and it has lots of chocolate vibes. Sprinkled with flaky salt this will be your new favorite, just give it a try! 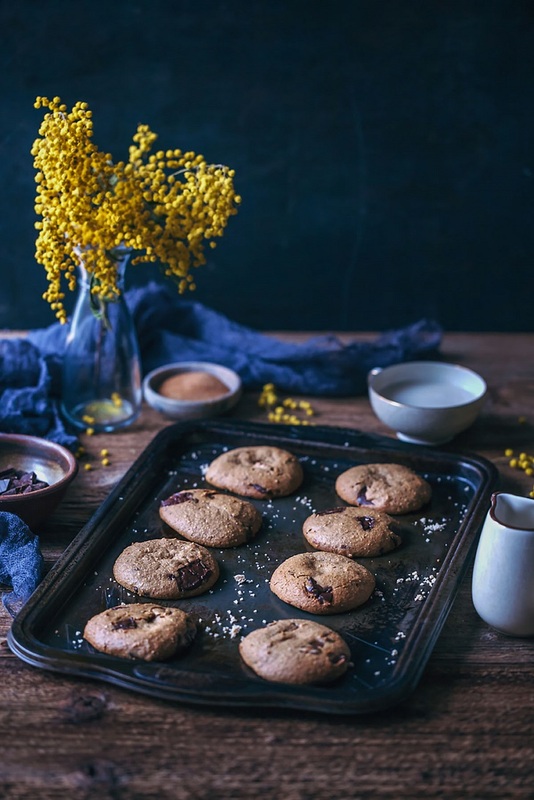 If you are urgently need your daily dose of chocolate chips cookies, this recipe is for you. There is no need for a mixer, or to get the eggs and butter out of the fridge in advance. With this recipe, it is possible to go from start to finish in 30 minutes! If you have the patience, hold the dough in the fridge overnight and for up to a few days before baking, portioned in scoops and covered. If you are a fan of Maltesers or Whoppers you will love this recipe. 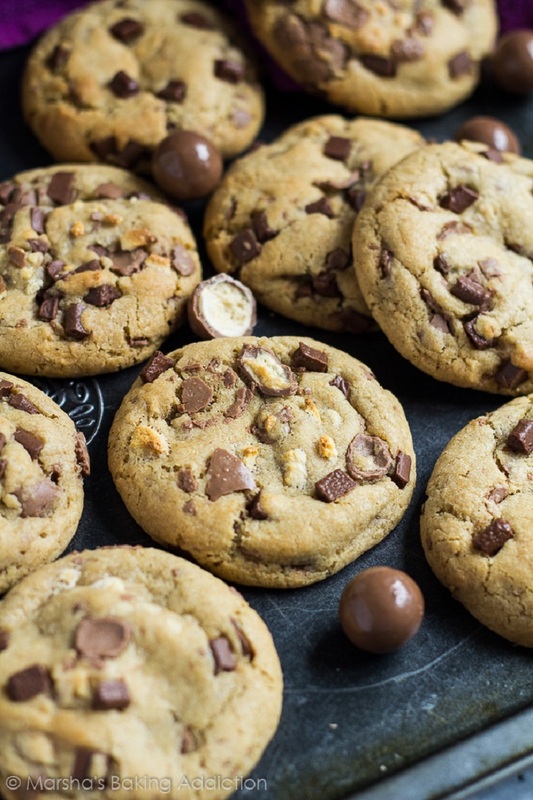 Deliciously thick, soft and chewy cookies infused with malted milk powder, and loaded with Maltesers and chocolate chips! You can make some extra to roll into balls, keep in the freezer, and bake off whenever the cookie craving strikes. These cookies are the healthy version of the regular chocolate chip cookie. It is sweetened with coconut sugar what makes for slightly sweet soft cookies with delicious hazelnut and dark chocolate aroma. You can use regular sugar if you prefer sweeter cookies. 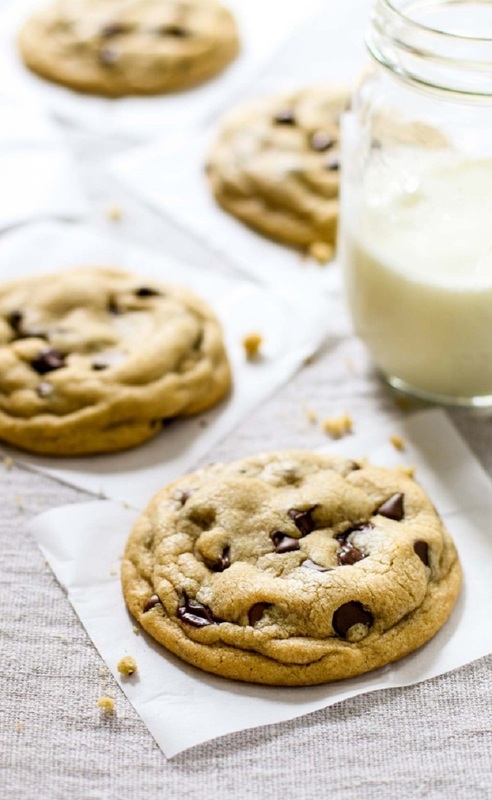 This one is a classic chocolate chip cookie recipe and let us tell you that it is absolutely perfect! They’re thick and chewy, they’re nice and soft in the center but deliciously crispy around the edge. They literally melt in your mouth, just the way a good chocolate chip cookie should be. 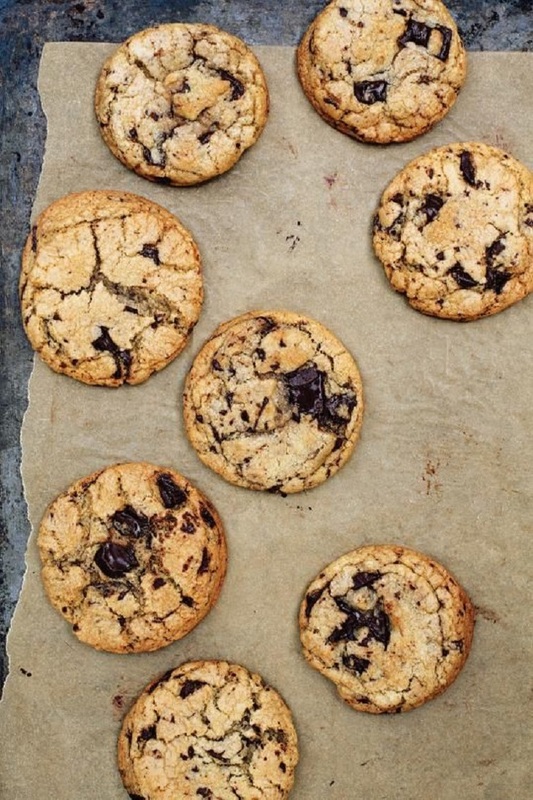 For those who love their chocolate chip cookie chewy, chocolaty and velvety, here is the ultimate recipe from Alton Brown, the food scientist and recipe perfectionist. Extra chewiness is attained by substituting bread flour for all purpose, replacing one egg white with milk, and changing the ratio of brown to white sugar. This recipe is from David Lebovitz, the Paris-based pastry chef who’s written several dessert cookbooks. 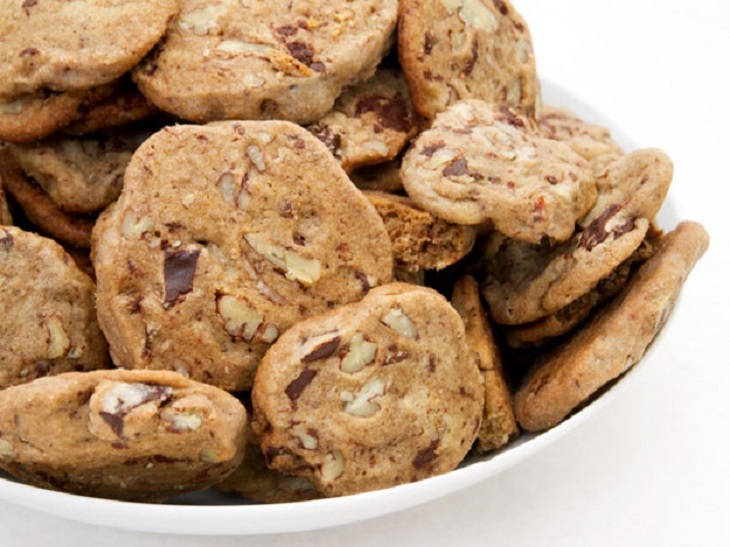 His chocolate chips cookies call for nuts, such as walnuts, pecans, almonds, or macadamia nuts, toasted and coarsely chopped. You will have to refrigerate to dough until firm, than slice the chilled dough up and bake! 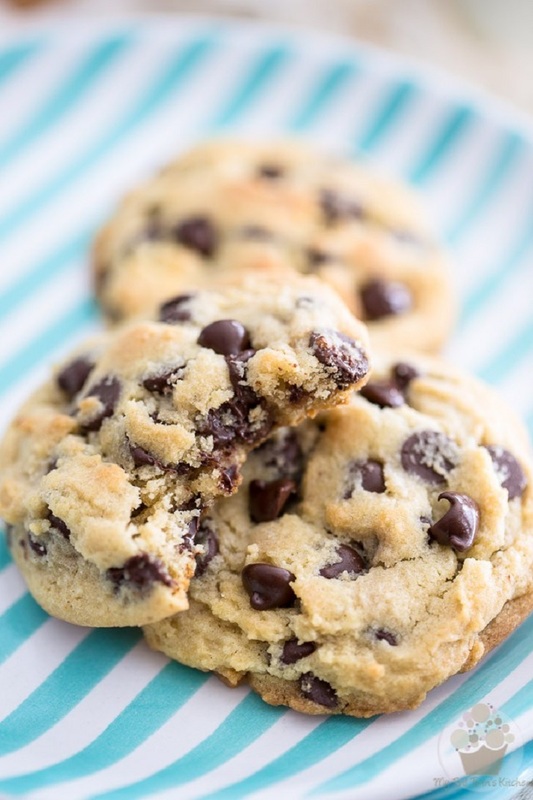 This recipe is a must try if you are looking for the real, classic chocolate chip cookie! It doesn’t only look store-bought but it also tastes like it. It is soft, thick, with bricks of chocolate chunks and a buttery dough. Perfect with a glass of milk! Here is the winner of our list of chocolate chip cookies. 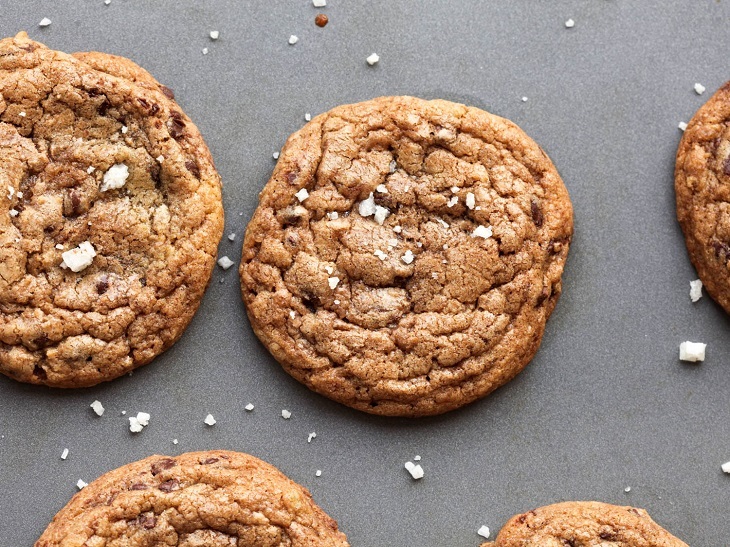 This cookie has all the best qualities: chewy with crispy edges, a rich, buttery, toffee-like flavor, big chocolate chunks, and a sprinkle of sea salt! Make a double batch straight away because it is seriously addictive!